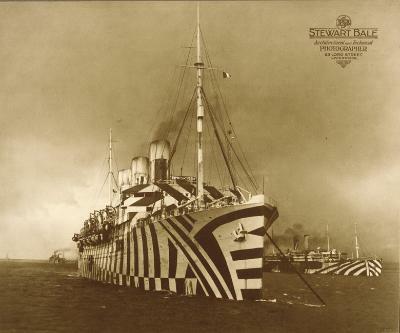 “Dazzle painting,” devised in Britain during WWI, was based on the theory that its complex optical patterns would confuse enemy naval rangefinders by disguising a ship’s speed and direction. 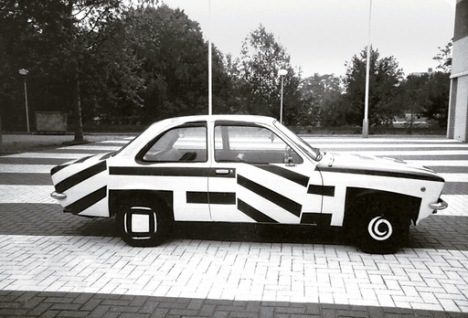 The concept was supposedly invented by marine painter (and wartime camoufleur) Norman L. Wilkinson. 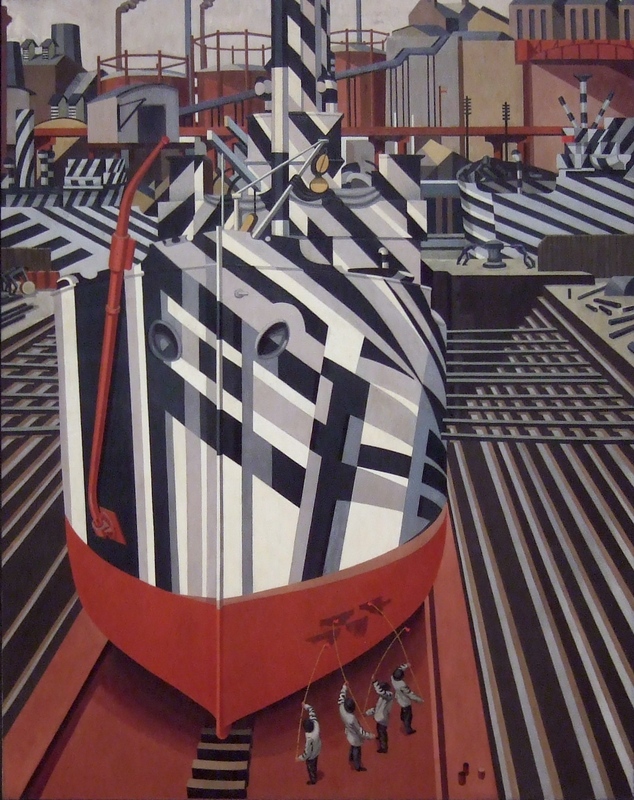 This entry was posted in culture/kultur and tagged boat, c.neeon, camouflage, car, dazzle, dress, Edward Wadsworth, painting, Patricia van Lubeck, prints, razzle dazzle, ships, transportation, war by Mimi Berlin Amsterdam. Bookmark the permalink.